With the help of our state-of-the-art infrastructure unit, we are able to manufacture, export and supply the superlative quality of Running Shoes. 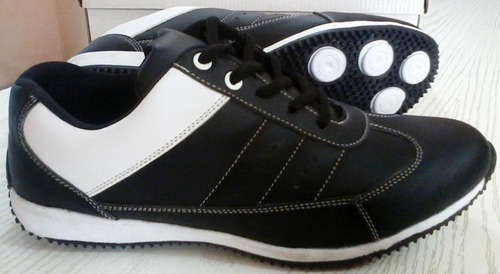 These shoes are widely used for running and are known for having fine grip. Moreover, these shoes are a perfect match of comfort and style and are designed using superior quality material and advanced technology. The cushions embedded inside it provide superior support as well as comfort while walking and running. We, Rps International, established our operations in the year 2013, as one of the grand manufacturers, exporters and suppliers of a massive of Sports Accessories. Our product compilation encompasses Sports Shoes, Sports Wears and Sports Balls that are manufactured using premium quality raw materials, which are procured from our trustworthy vendors, linked with us from a very long period. Owing to the supreme quality and flawlessness, our range is extremely popular in the business. At our company, we have established a state-of-the-art infrastructure facility that is set up with various machines and equipment, which support us in achieving the best quality possible. In addition, the constant efforts of our team have paid off well in establishing our name. Good financial position & TQM, large production capacity and huge product line have immensely enabled us to establish our name in the business. Our span for exporting the products is spread all over the world. In the future, we wish to maintain the unmatched reputation in the market and earn an unbeatable position among our patrons. We have been able cater a huge clientele across the global market.